U.S. Secretary of Housing and Urban Development, Ben Carson is scheduled to speak at a fair housing conference in Little Rock. The annual Fair Housing/ Fair Lending Conference kicks off Tuesday with a movie screening of 13th followed by a panel discussion at the Mosaic Templars Cultural Center in Little Rock. Speakers from the local state and national level are scheduled to speak at the conference. Ben Carson, U.S. Secretary of Housing and Urban Development, will be the last keynote speaker on Friday. Carol Johnson, executive director of the Arkansas Fair Housing Commission which hosts the event, says she's excited to hear what he decides to speak about. "I imagine that he’s probably going to be talking about maybe some of their enforcement initiatives, maybe some of the policies that they worked in this current administration to create." The theme of the conference is "Creating the Next Generation of Diverse Arkansas Communities." Topics of discussion will span many varied matters that effect housing, including the opioid crisis, mass incarceration and recidivism, civil rights, legal and medical considerations for emotional support animals, community policing and much more. Johnson believes the most critical thing to come from the event each year is the awareness gained across sectors and by the public affected by housing policies. She said most people her organization works on the behalf of are being negatively affected, but the knowledge gained at conferences like this one can make all the difference. "I'm a firm believer that we need to understand what our rights are, but also what our responsibilities and obligations are under any law, but particularly under civil rights legislation. So I think that opportunity for a greater awareness, and with that awareness people begin to be more involved, begin to have more discussions," Johnson said. Other speakers at the conference will include U.S. Republican Rep. French Hill, Gov. Asa Hutchinson, and Little Rock Mayor Frank Scott Jr. There will be a roundtable discussion of mayors from across the state to discuss issues their communities face. Diane Yentel, president of the National Low Income Housing Coalition will deliver a keynote address. Johnson said she does a lot of advocacy work which is really the driving force behind policy changes. Admission to the conference and all programming is free and open to the public, but there is a $25 fee per day for professional development credits. According to Eventbrite, the historical civil rights bus tour and keynote addresses with Diane Yentel and Ben Carson are already sold out, for more information call the Arkansas Fair Housing Commission at 501.682.3247. Conference Week Highlights:April 16, 2019 - "13th" Movie Screening and Panel - Mosaic Templars Cultural Center (5:30 p.m. until 9:30 p.m.) The Commission will host a viewing of "13th," which provides in-depth look at the prison system in the United States and racial inequality. In this thought-provoking documentary, scholars activist and politicians analyze the criminalization of persons of color and the U.S. prison boom. April 17, 2019 - Historical Civil Rights Bus Tour - Little Rock Marriott (8:00 a.m. until 2:00 p.m.) The Commission will host a guided bus tour of historical sites in Little Rock. April 17, 2019 - Opening Session - Mosaic Templars Cultural Center (6:00 p.m. until 9:00 p.m.) The Commission will host its Opening Session and Reception. April 18-19, 2019 - General Sessions (8:00 a.m. until 5:00 p.m.)The conference will feature notable fair housing and fair lending practitioners from local, state and national housing sectors. April 18, 2019 - Morning Keynote Speaker: Governor Asa Hutchinson (9:00 a.m. until 9:30 a.m.)Gov. Hutchinson was sworn in for a second term as the 46th Governor of Arkansas on January 15, 2019. April 18, 2019 - Keynote Luncheon Speaker: Diane Yentel (11:30 a.m. until 1:00 p.m.)Yentel is President and CEO of the National Low Income Housing Coalition, a membership organization dedicated solely to achieving socially just public policy that ensures people with the lowest incomes in the United States have affordable and decent homes. Yentel is frequently cited in media outlets, including the Washington Post, The New York Times, Politico, Mother Jones, NPR and The Guardian. 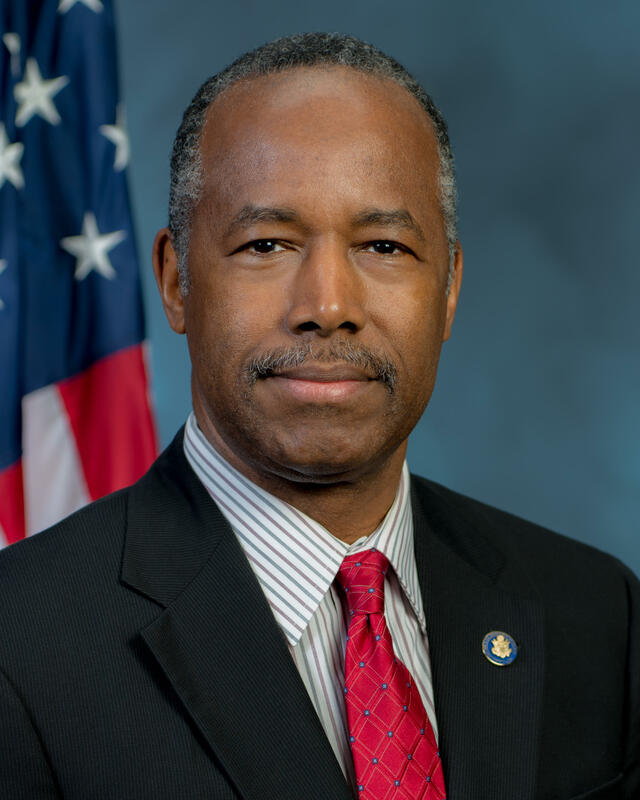 April 19, 2019 - Keynote Luncheon Speaker: Dr. Benjamin S. Carson, Sr., M.D., (11:30 a.m. until 1:00 p.m.)Dr. Carson was sworn in as the 17th Secretary of the U.S. Department of Housing and Urban Development on March 2, 2017. Appointed by the President, and a member of his Cabinet, the Secretary advises the President on housing issues, creates and implements policy, and oversees all programs in the Department.